Unless you’ve been sleeping under a rock (under Iraq? Unforgiveable pun? 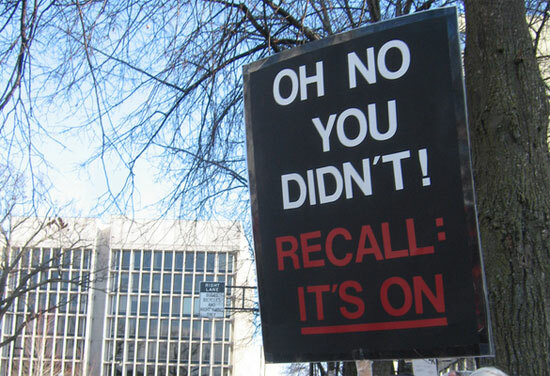 ), yesterday’s Supreme Court decision to uphold the majority of the Patient Protection and Affordable Care Act (PPACA), ruled in the National Federation of Independent Businesses v. Sebelius, likely caught your attention. Despite attempts to repeal the act by both the 111th and 112th Congresses, the Court determined that the government mandate for health care was a tax, and thus fell under Congress’s taxing authority, with the caveat that the federal government could not withhold Medicaid funds in their entirety to states that refused to comply with Medicaid expansion. The Washington Post has a helpful electronic cheat sheet that explains how the legislation will affect you directly in the months and year to come, based on the type of insurance you do or do not carry, your income, and household status. With that in mind, we asked scholar Beatrix Hoffman, author of Health Care for Some: Rights and Rationing in the United States since 1930, to weigh in on Court’s ruling in light of her own research on America’s long tradition of unequal access to health care. Her thoughts follow below. 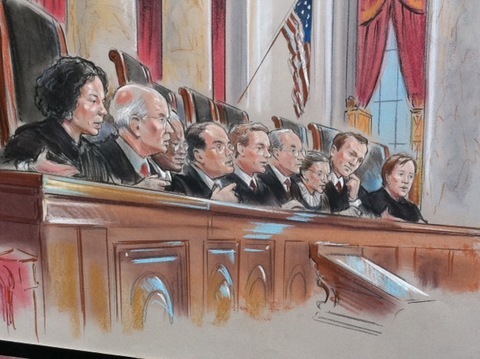 *** A Historic Ruling for Health Care The Supreme . . . 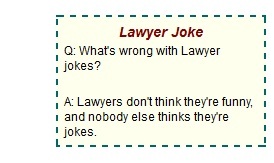 Failing Law Schools: What’s so funny? Wait. I’ve got one— “A lawyer walks into a bar”—oh, you’ve already heard it. “A one-legged lawyer walks into a bar”—no? That, too? How about this one? I’m working on my timing. “What’s the difference between a good lawyer and a great lawyer?” Give up? “A good lawyer knows the law. A great lawyer knows the judge.” Is that funny? n 1873, Robert Vischer coined the term Einfühlung in “On an Optical Sense of Form: A Contribution to Aesthetics” in order to designate a sort of personification—the projection of human feelings on the natural world. Vischer was concerned with our ability to feel ‘into’ nature and art, and Einfühlung picks up from the German Romantic tradition of Johann Gottfried Herder and Georg Philipp Friedrich Freiherr von Hardernberg (Novalis) as a process of poetic identification with the natural world and its underlying spiritual relationship with man. Part of Vischer’s interest laid in the fact his father Friedrich Theodor Vischer had, a generation earlier, written the monumental Aesthetik and attempted the use of Einfühlen in order to describe architectural form in congruence with German Idealist philosophy and the rebellions of 1848–49. Vischer relegated empathy to the place between purely responsive and intellectual . 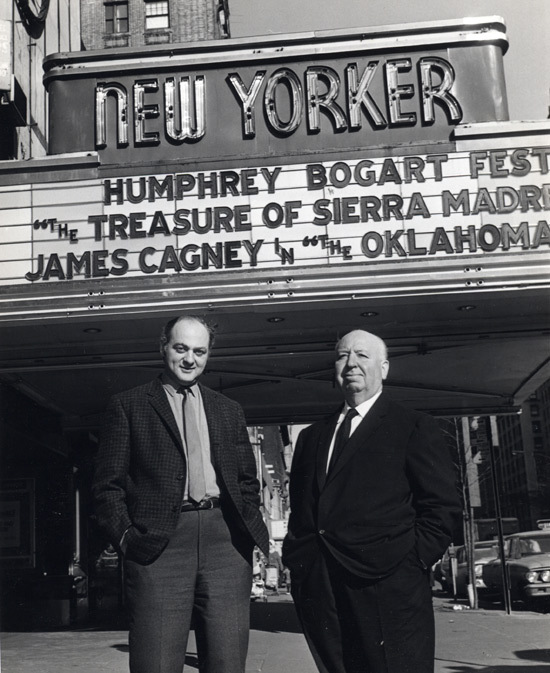 . .
Andrew Sarris—film critic, teacher, and auteurist foil to fellow critic Pauline Kael—died yesterday in Manhattan at the age of 83. Though it will be hard for anyone to follow up his friend Richard Corliss’s touching remembrance over at Time (this is perhaps the only memorial in recent memory I’ve read where one’s eyes well-up at the use of a carnivoric metaphor, as in: “When I entered that trapezoidal classroom on East Ninth Street, I saw a panda man.”), the Village Voice has assembled a tribute of clips from his decade at the paper, and it’s always worth a visit to Eric C. Johnson’s archive of Sarris’s Top Ten lists from the past fifty years. Though I’m familiar with his criticism, I will admit that much of my interest stems from his feisty takedown of Pauline Kael’s I Lost It at the Movies. I hope Sarris isn’t rolling over as I write this, but it’s worth mentioning his engagement with two women—not just Kael, but Sarris’s longtime partner, fellow critic Molly Haskell—and the ways in which these relationships alternately contributed to the defense, development, and evolution of his own writings, as the screen went from Welles and Preminger to Godard and Nichols . . .
Gabrielle Plucknette/New York Times The NYT’s 6th Floor blog ran a post yesterday by Amy Kellner about the installation of Yayoi Kusama’s career-spanning retrospective, which opens this July at the Whitney Museum of American Art. The show, the first to present a hearty selection of Kusama’s work to the West since LACMA’s Love Forever: Yayoi Kusama 1958–1968 (1998), was curated by Frances Morris, head of collections at the Tate Britain, where the show originated. Along with some excellent behind-the-scenes shots of “Fireflies on the Water,” originally installed for the Whitney’s 2004 Biennial and now a part of the Museum’s permanent collection, the post included an introduction to Kusama as an “adorable, polka-dot-obsessed Japanese artist.” No one would argue with the obvious presence of dots, minimalist pop-blobs, flickering lights, and the omnipresence of concentric circles in Kusama’s oeuvre. But the use of the world “adorable”—in regards to an artist who has openly struggled with psychiatric problems, including obsessive and suicidal thoughts, hallucinations, and the decision to voluntarily commit herself to the Seiwa Hospital for the Mentally Ill, where she has lived since the mid-1970s—seems a bit more problematic. Or is it? 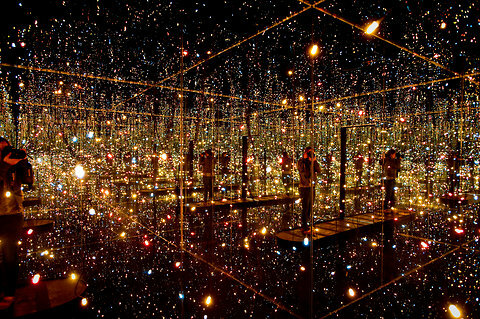 Is it problematic to label Kusama, cloaked in art-pop attire, . . .
Did you know that in a game of cultural touchstones, it’s only a gesture or two that takes us from this: To this: To this: “We do not live in the sort of universe in which simple lineal control is possible. Life is not like that.”—Gregory Bateson, “Conscious Purpose versus Nature” (1968, 47) Today, we regard Gregory Bateson as the Kuhn-ian impresario behind systems-theory-based cybernetics—a friend of Jerry Brown’s and the ex-husband of Margaret Mead, Bateson was also the first to credit Samuel Butler’s The Way of All Flesh as originating our modern concept of the double bind. Bateson wrote about somatic practices and linked the functions of the body to other epistemological systems, ultimately focusing on man’s capacity for scientific arrogance and purpose-driven, autocratic understanding. Interestingly enough, Bateson made a name for himself outside of cybernetic circles through his association with Stewart Brand’s CoEvolution Quarterly in the mid-to-late 1970s (other contributors included Witold Rybczynski, Wendell Berry, and Ursula K. Le Guin), which popularized the ideas of space- and media-based practices, often in a New Journalism-inspired style. The other star of CQ? 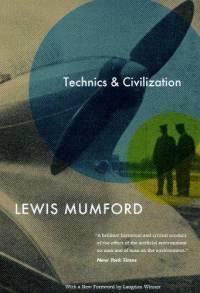 Lewis Mumford, whose talk influential talk “The Next Transformation of Man” was transcribed in the fourth issue. Andrew . 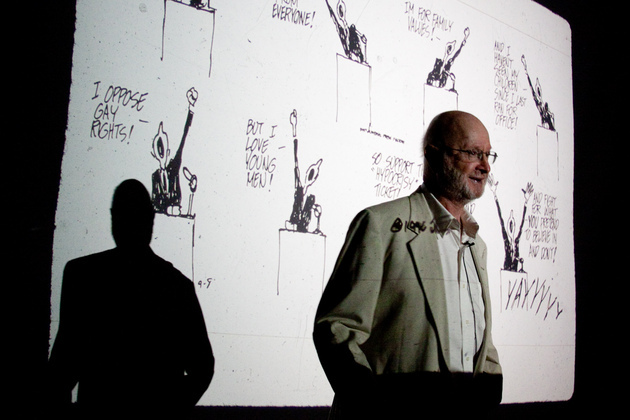 . .
Jules Feiffer, cartoonist-raconteur born in an era when caricature could be scathing, indicative, deeply personal, and most definitely not post-irony, is the author of Backing into Forward: A Memoir. The cult of Feiffer, which hinges on two of the versatile writer-artist’s best-known personas—illustrator of the beloved children’s book The Phantom Tollbooth and the man behind a much more adult-oriented series of comics, often penned for the Village Voice—revs up in Chicago this weekend in preparation for Feiffer’s conversation with Christopher Borrelli at the Printer’s Row. On the heels of this event, as Feiffer finishes up work on his graphic novel Kill My Mother, our own Miranda Sklaroff asked him a few questions about his process, inspirations, and the decision to make zillions by penning a work of pot-boiled realism: MS: What made you decide to do an original graphic novel now? JF: Pure avarice. About a year and a half ago, having made all sorts of changes in my life, I decided it might be a really good idea to make a lot of money fast. Therefore I was going to write a pot-boiler. It was going to be an action thriller, full of all the noir touches that I had grown up . . .
From Politicians Don’t Pander: Political Manipulation and the Loss of Democratic Responsiveness by Lawrence R. Jacobs and Robert Y. Shapiro: The Declaration of Independence was animated by a demand for “consent of the governed” and the promise of popular control has inspired a long and, at times, violent struggle for the right to vote by all Americans, the full and equal right to freedom of speech and assembly, and other essential rights. Does the American government respond to the broad public or to the interests and values of narrowly constituted groups committed to advancing their private policy agendas? On one side lies democratic accountability; on the other a closed and insular government that is ill-suited to address the wishes or wants of most citizens. When politicians persistently disregard the public’s policy preferences, popular sovereignty and representative democracy are threatened. The responsiveness of national policymakers to what most Americans prefer has declined and remained low for almost two decades. Can we rely on competitive elections to fend off muted responsiveness to centrist opinion? After all, congressional Democrats suffered stunning setbacks in the 1994 elections following Clinton’s campaign for an unpopular health care reform plan and the Republicans’ congressional majorities were reduced . . .
(First summer comes, and he’s the only one I ever feel like reading—) Statement “The greatest work of the twentieth century will be that of those who are placing literature on a plane superior to philosophy and science. Present day despairs of life are bred of the past triumphs of these latter. Literature will lay truth open upon a higher level. If I can have a part in that enterprise, I shall be extremely contented. It will be an objective synthesis of chosen words to replace the common dilatoriness with stupid verities with which everyone is familiar. Reading will become an art also. Living in a backward country, as all which are products of the scientific and philosophic centuries must be, I am satisfied, since I prefer not to starve, to live by the practice of medicine, which combines the best features of both science and philosophy with that imponderable and enlightening element, disease, unknown in its normality to either. 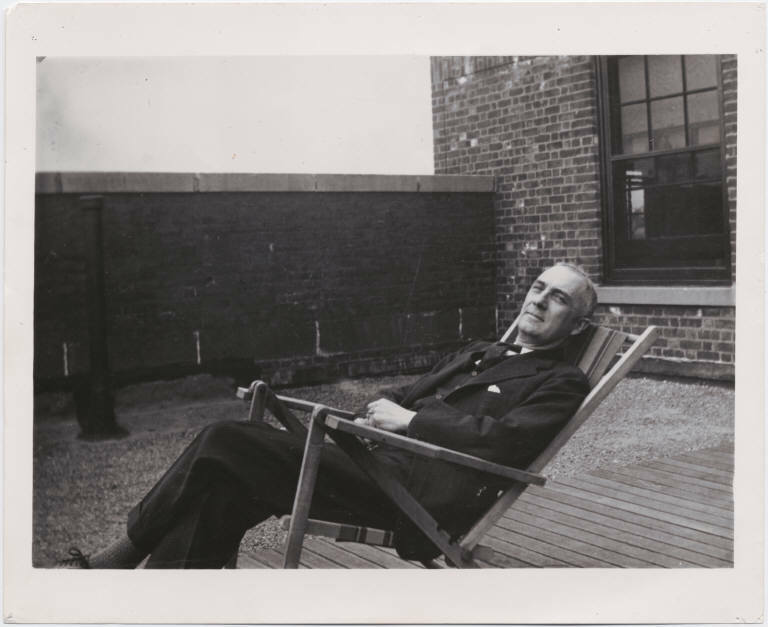 But, like Pasteur, when he was young, or anyone else who has something to do, I wish I had more money for my literary experiments.” William Carlos Williams, c. 1931 *** If you share an affinity for Williams’ four-diver white . . .